"You need a lot of love. From your audience, too." 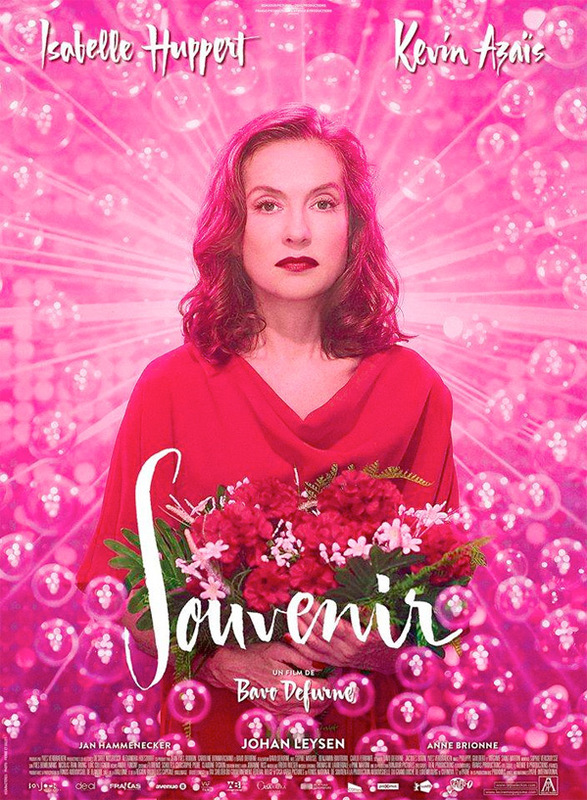 Studiocanal has debuted the first UK trailer for a Belgian drama titled Souvenir, starring French actress Isabelle Huppert as a former singer now working at a factory in a small town. The film played at a few major festivals last fall, including Toronto and London, and is opening in US theaters later this year. Huppert plays Liliane Cheverny, who was once "Laura", a singer who finished second in the 1974 European Song Contest. Her singing dreams are reignited when she meets a young boxer who convinces her she should make a comeback. Also starring Kévin Azaïs, Johan Leysen, Muriel Bersy, and Benjamin Boutboul. This looks like a provocative, passionate film about lost dreams. Liliane (Isabelle Huppert) was once "Laura", a rising star in the singing world, who had her moment of glory when she finished second in the 1974 European Song Contest behind Abba. Today, everyone has forgotten her brush with fame, and she works in a pâté factory. But when she meets Jean, a 20-year-old boxer, her dreary life is suddenly turned upside down. He falls in love with her, and convinces her she should make a return to the stage. Souvenir is directed by Belgian filmmaker Bavo Defurne, of the film North Sea Texas previously, as well as many acclaimed short films. The script is written by Bavo Defurne & Jacques Boon & Yves Verbraeken. This first premiered at the Toronto and London Film Festivals last year. Souvenir opens in UK cinemas on June 23rd, and will open in the US on March 2nd, 2018 from Strand Releasing.